Let us help you design your perfect Maui dream wedding. From choosing the perfect venue to the tiniest wedding detail, we will ensure that your entire experience will not only be stress-free, but also a special cherished memory. Tropical Maui Weddings is owned and operated by Jamie and Lori (Scott) Lawrence, who have been helping couples with all wedding planning needs for decades. 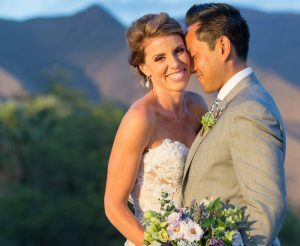 Tropical Maui Weddings offers packages for couples seeking the ultimate destination wedding on the island of Maui, Hawaii.